Washington, DC, December 5, 2016	(Newswire.com) - ​Immuta, a private data governance company started by former US Intelligence Community technologists, will hold an event the weekend of December 9 to help America’s Warrior Partnership assist its communities through advanced analytics against their data. The event is called a Hackathon, an in-depth mining of data held over a weekend by a set of volunteers designed to extract the most useful information possible, so that an organization may know how to best tailor their services. DataKind, an organization that brings together top data scientists with leading social change organizations to collaborate on cutting-edge analytics and advanced algorithms to maximize social impact, and data science students from the University of Maryland will join Immuta for the event. The idea behind the Hackathon is to analyze the data gathered by America’s Warrior Partnership to inform future data collection and accomplish powerful outcomes and insights for the nonprofit. America’s Warrior Partnership works to empower communities to empower veterans by providing a community-based program offering a proactive approach to serving veterans. The nonprofit works through organizations in communities to provide services for veterans. An innovator in the veteran space, America’s Warrior Partnership created a proprietary data management tool, WarriorServe®, tailored to the specific needs of veterans and the agencies that serve them. For example, veterans are found or met at an employment event; their information is individually gathered, and based on their needs, services provided. In doing so, the nonprofit and its partners collect a vast amount of data on the veterans and collect follow-up information on services provided and the success of those services. • Provide new and potentially better factors to determine veterans’ presenting status – how urgently veterans are needing help. At present, the status is driven by the veteran’s immediate needs, but if there were better predictors hidden in the information captured, a veteran with no needs today, could be deemed a more urgent status based on factors discovered through historical trends. • Follow-on actions could also be better predicted as well as more precise “tickle” follow-up time increments. • When a service is provided (for example, employment found), can the probability of success be determined? • If probability of success is low, are there services that could be provided to increase the probability of success? • How can the organization more effectively find veterans in their communities? Can locations be predicted to optimize outreach efforts? • Transportation is a key component to success in providing employment, healthcare and housing services. Can spatial factors such as location and public transportation be used to determine probability of success? 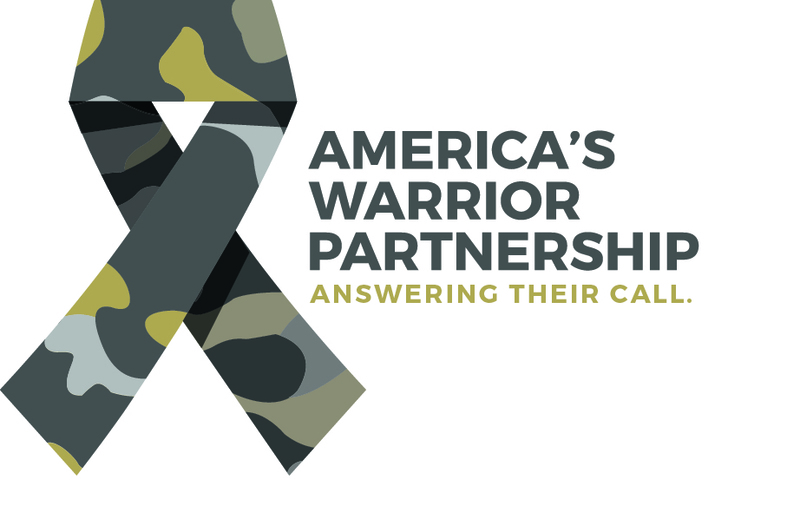 To find out how you can support America’s Warrior Partnership, visit www.americaswarriorpartnership.org.